On March 4, 2016, the TOMODACHI Initiative hosted a reception to commemorate the 5th year since the Great East Japan Earthquake. 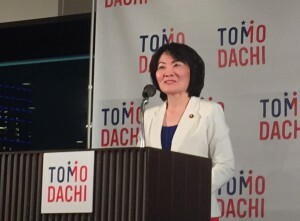 At the reception entitled, “Remembering 3.11—Five Years Later,” the TOMODACHI Initiative and its partners announced further support for the rebuilding of Tohoku and the fostering of next generation leaders. The event featured a signing ceremony for the “Memorandum of Cooperation on Enhanced Partnership in Support of the TOMODACHI Initiative Between the Government of Japan and the U.S.-Japan Council” by Miki Yamada, Parliamentary Vice-Minister for the Ministry of Foreign Affairs (MOFA) representing the Government of Japan and Irene Hirano Inouye, President of the U.S.-Japan Council, embodying the groundbreaking public-private partnership. 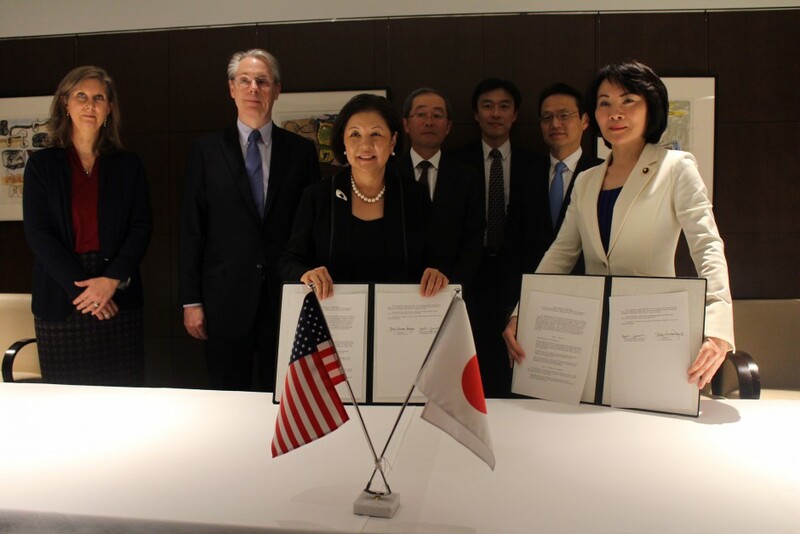 The Memorandum formally established the relationship between TOMODACHI and MOFA—a relationship which has already existed unofficially for several years. In this connection, MOFA appointed Ambassador Masaharu Kohno as the Government of Japan’s Senior Advisor to the TOMODACHI Initiative. Prior to the signing ceremony for the Memorandum of Cooperation, a roundtable discussion was held with TOMODACHI alumni from Tohoku, representatives from the Government of Japan and the U.S. Embassy, and President Irene Hirano Inouye. The topic ranged from the progress made for rebuilding Tohoku, the activities and impact of TOMODACHI to date, and the roles of the young people from Tohoku and beyond who will become future leaders. Since its establishment in 2012, there have been over 4,600 TOMODACHI program participants which have now become alumni, with over 2,600 from the Tohoku region. The reception was attended by approximately 200 guests which included companies that contributed to and have partnered with TOMODACHI. To conclude the evening program, Caitie McDermott, representing the TOMODACHI alumni from America, recited a poem she created regarding the strength and resilience of the people from Tohoku. Additionally, a slideshow was presented in which messages of encouragement and hope to Tohoku and messages from Tohoku that were submitted for a social media campaign that was launched by TOMODACHI. This TOMODACHI reception became an opportunity to reflect upon the TOMODACHI Initiative which was born out of support for Japan’s recover from the Great East Japan Earthquake and to look back on the progress Tohoku has made. 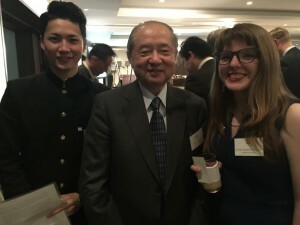 Furthermore, it was an opportunity to show appreciation to many of the donor companies, organizations and individuals, as well as alumni that TOMODACHI will continue to provide exchanges between the United States and Japan and to invest in the next generation of young people in Tohoku.